"At Hampton University, we are committed to the development of well-informed premedical students who will enter the health professions workforce and one day take care of us," said Dr. Michael Druitt, program director. The keynote speaker for the evening was Dr. Bert W. Holmes, Jr. Dr. Holmes presently serves as University Physician & Physician Liaison – Administrative section at the Hampton University Proton Therapy Institute. Dr. Holmes, a retired Brigadier General, brings a spirit of excellence in leadership to Hampton University. During his 30 years serving in the military, Dr. Holmes became the first African-American state surgeon in the National Guard, senior flight surgeon and the first African-American assistant adjutant general. He retired as a highly decorated brigadier general in the Virginia Army National Guard. 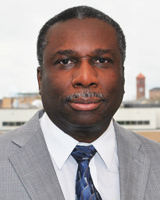 Dr. Holmes received his medical degree and specialty training in urology from the Howard University School of Medicine. Dr. Holmes was also instrumental in helping to establish the Medical Science post-bac program in 2001. He mentioned in his speech that this stemmed from a conversation with Dr. Harvey on addressing the disparity of low medical school enrollment for minorities. "Parents, family members and friends really enjoy this annual event because for them, it is a signal that there child is making a huge career decision that may eventually impact an entire generation," said Druitt. Hampton, VA - The Hampton University Department of Communicative Sciences and Disorders has received a $1.2 million grant to train minority scholars to work in high poverty schools. The grant from Department of Education's Office of Special Education Programs (DOE-OSEP), will provide tuition assistance to 24 highly-qualified communicative sciences and disorders graduate program candidates. These scholars will be focused on the acquisition of knowledge and the development of the specialized skills sets requisite for working with children living in high-need local education areas. According to Dr. Carla J. Jones, the grant's principal investigator and associate professor, the demand for speech-language pathologists has exceeded the available supply for many years. "This gap is particularly applicable to the need for school-based clinicians where a pervasive shortage exists in both urban and rural high poverty settings nationwide," said Jones. "Further, the gap in the number of certified minority speech-language pathologists continues to widen." According to the American Speech-Language and Hearing Association, of the approximately 140,000 certified speech-language pathologists, only 6.9 percent are racial minorities. HU's Department of Communicative Sciences and Disorders, founded by Dr. Robert M. Screen, is not only the oldest degree-granting program at an Historically Black College or University, it has trained more African-American Speech-Language Pathologists than any other Institution in the Nation. Thus, this funding provides a much needed impetus which will be most helpful in the recruitment of minority undergraduate students from collaborative institutions into the Department's Graduate Program. Drs. Tamara Freeman-Nichols and Dorian Lee-Wilkerson are co-investigators on the grant. 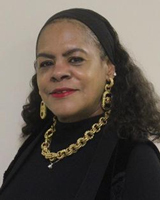 Hampton, VA - Dr. Dorian Lee-Wilkerson, Chairperson of the Hampton University Department of Communicative Sciences and Disorders, has been named a Fellow of the American Speech-Language and Hearing Association (ASHA). This prestigious honor will be recognized during an Awards Ceremony at the Association's National Convention, which will be held Nov. 12-14 in Denver, Colorado. This most deserved achievement is reflective of the more than 25 years of dedicated clinical and academic contributions to the field of Speech-Language Pathology. Lee-Wilkerson, who received her Bachelor of Science degree in communication disorders from Hampton University, began her professional career as an assistant professor in the Department of Communicative Sciences and Disorders at Howard University where she pursued her Doctoral studies and received the Doctorate of Philosophy degree. In 1998, Lee-Wilkerson joined the faculty in the Department of Communicative Sciences and Disorders as an Associate Professor here at HU. 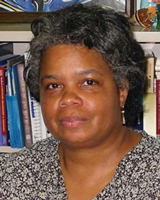 Under the mentorship of Dr. Robert M. Screen, the founder of the Department, Lee-Wilkerson became a tenured Associate Professor and served as the Coordinator of the Department's Graduate Program from 2006 to 2010. 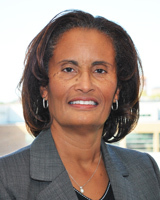 In 2010, Dr. Lee-Wilkerson was appointed Chairperson of the Department. 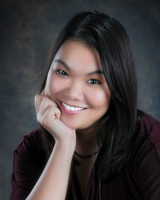 Over years, Dr. Lee-Wilkerson has amassed an impressive resume of scholarly publications and presentations. Hampton, Va. - The Hampton University Department of Physical Therapy welcomes the CEO of the American Physical Therapy Association Michael Bowers, as the keynote speaker at the Department's Pinning and White Coat Ceremonies on Saturday, Sept. 12 in Phenix Auditorium. The Pinning Ceremony for Class of 2018 will be held at 10 a.m. This ceremony is the formal initiation into the physical therapist education program and profession. Students will receive a pin with "SPT" for Student Physical Therapist. This is the first of two pins they will receive during the three-year program. Upon completion of the program the second pin, with "DPT" for Doctor of Physical Therapy, will be awarded. 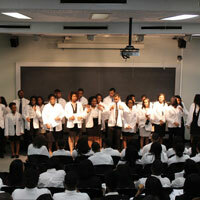 The White Coat Ceremony for the Class of 2017 will be held at 2 p.m. This ceremony recognizes the students' transition into the clinical setting. These students have successfully completed their first year of the program and will begin their first clinical experience in October. 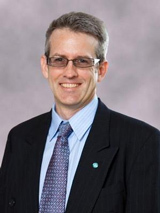 Bowers, is the recently appointed chief executive officer for the American Physical Therapy Association. He holds a bachelor's and master's degree from Harding University in Seacry, Arkansas, as well as having prior experience as a therapist in the justice system and as a minister. His most recent experience is that of CEO at the American Association for Marriage and Family Therapy (AAMFT). 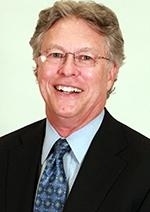 Bowers worked for AAMFT for over 25 years in a variety of leadership positions where he developed expertise in many aspects of association management, including advocacy, governance, volunteer development, financial management, and member relations. Some of these areas of expertise are expected to be discussed during his speech regarding success in the field of therapy at the ceremonies. Both ceremonies are free and open to the public. For more information, contact the Department of Physical Therapy at 757-727-5260. 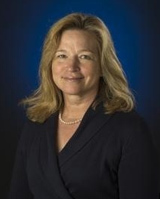 Hampton, Va. - The Hampton University Department of Atmospheric and Planetary Sciences and the Scripps Howard School of Journalism and Communications will host Dr. Ellen Stofan, NASA chief scientist for a special campus lecture April 1 at 11:30 am in the Student Center Ballroom. The lecture "Are We Alone? The Search for Life in the Solar System and Beyond" will also serve as a premiere for three short videos featuring NASA-supported research projects conducted at Hampton University. Dr. Stofan will deliver a special lecture on the overview of NASA's scientific missions, focusing on the search of life beyond Earth, inside and outside our Solar System. "Even with her duty as the top scientist of NASA, Dr. Stofan remains an active planetary science researcher herself, known for her research on the geology of different planets," said Dr. Kunio M. Sayanagi, assistant professor of planetary science. "As a planetary scientist myself, she is a great role model who has succeeded in all aspects of science: leadership, communication, and technical work." The student produced videos were produced by the Department of Atmospheric & Planetary Sciences, and the Scripps Howard School of Journalism and Communications with funding by the National Science Foundation. "We jumped at the opportunity to work with our colleagues in the School of Science," said Dr. Battinto L. Batts Jr., assistant Dean for Academic Affairs in Scripps Howard. "We must effectively communicate to the public the importance of scientific research findings and what they mean to our planet and our well-being. I am pleased by the work of the students who worked in this program and look forward to future collaborations. Hampton, VA - Hampton University Professor William B. Moore and a team of HU researchers have been selected by NASA to lead the Living, Breathing Planet Project. This project, funded through a $3.8 million grant from NASA's Astrobiology program, is a part of the NASA Exoplanet System Science (NExSS, pronounced "nexus") program. This research will help determine the past and present habitability of Mars and even Venus and will form the basis for identifying habitable and eventually living planets around other stars. The HU Department of Computer Science in partnership with the HU Graduate College has been awarded a five-year $622,480 grant from the National Science Foundation (NSF) to implement the "Workforce Preparation through Computing Scholarship (We-Prep-CS) Program." Dr. Chutima Boonthum, associate professor of computer science, will serve as the Principal Investigator and Dr. Jean Muhammad, Chair of the Department of Computer Science, and Dr. Patrena Benton, Dean of the Graduate College, will serve as Co-Principal Investigators. "The We-Prep-CS S-STEM program will target underrepresented minorities in the field of computer science preparing them for the STEM workforce and the matriculation into the STEM graduate programs," said Boonthum. "The project will demonstrate a creative, sustainable model for recruiting, engaging, retaining, and graduating historically underrepresented students in computing programs that can guide other institutions in efforts to diversify the STEM workforce." The project adds to the comprehensive student support services within the department and supports efforts by the Graduate College to ensure the success of students seeking master's degrees in computer science. This project will also look to increase the number of women and members of historically underrepresented groups entering the computer science workforce and graduate programs. Scholarships will enable undergraduate and graduate students in computing programs to study full-time, while project activities will engage students academically and socially by providing research and internship opportunities, social cohort building activities, career counseling, and graduate school and/or workforce preparation. The project will also support two undergraduate-cohorts with a minimum of 10 undergraduate and three graduate-cohorts with a minimum of six graduate students. Each student will be awarded up-to $10,000 per year based on their financial need." The project will demonstrate a creative, sustainable model for recruiting, engaging, retaining, and graduating historically underrepresented students in computing programs that can guide other institutions in efforts to diversify the STEM workforce. Finally, the project will contribute to the scholarly understanding of STEM student perceptions of financial aid and need. On October 1, 2014 Hampton University was awarded $3.5 M over a four year period from the U.S. Department of Education under the sponsorship of the First in the World Program. 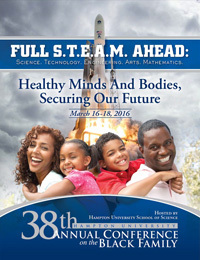 The proposal submitted from Hampton University is entitled The HU-FITW Partnership Project. The project is under the leadership of HU Associate Professor, Dr. Ira Walker from the Department of Mathematics. This grant affords Hampton University a wonderful opportunity to provide this nation with a skilled cadre of future professionals skilled in the disciplines of Science, Technology, Engineering and Mathematics (STEM). This goal will be achieved by employing innovative teaching methods enmeshed with technology and social networking to engage the students in their respective disciplines. "I anticipate that our students will respond well to this new paradigm of learning the STEM disciplines as it features student-centered learning, project-based learning, peer-mentoring and living-learning communities", said Walker. "The common element of these components is the fact that the students will take more ownership of their learning experience and will approach learning from a more active and participatory framework." The project will implement what has been called the 3-1-1 model to positively affect the learning of the students. During the first three weeks of a major unit in the sequence of topics covered in the class, the students will learn via the flipped-classroom approach, whereby they will be given selected on-line resources including videos to study and view. When they meet the following class period, an assessment will be administered to evaluate their level of understanding of the viewed materials. During the fourth week, the students will learn procedures from either the Microsoft Excel or MATLAB software package to reinforce what they have learned during the first three weeks. Finally, during the fifth week of that unit, they will be required to use the software techniques they have just learned to complete a real-world project. "I have found that one of the major complaints of students learning mathematics is their perception that what they are learning in the classroom is not relevant" said Walker. "This project hopes to dispel this notion by having the students work on real-world projects with themes that run the gamut across all of the STEM disciplines"
To help facilitate this goal the project is fortunate to have several dedicated partners who will provide internships, employment opportunities and enrichment experiences that will benefit our students. These partners include Northwestern University, Accenture, Achievable Dream Academies, Joint School of Nanoscience and Nanoengineering, and the From one Hand to Another Foundation. Dr. Walker earned his doctorate in aerospace engineering from Old Dominion University and formerly was a researcher at NASA Langley Research Center in Hampton VA. He has worked on a variety projects pertaining to the use of technology to enhance the learning of STEM disciplines. He has either managed or participated in grants that involve the use of mathematics and computer programming covering such diverse areas as fluid dynamics and educational gaming to teach mathematics. He has also authored papers in refereed journals on aircraft design, weather prediction and computational fluid dynamics.